"It was very interesting to see the very wide spectrum of views represented at the Kennedy school event yesterday on reforming the presidential primary process. (The conversation was on the record, and a transcript will be posted by the Kennedy school at some point.) I would say I walked away thinking how difficult change is going to be, how intractable the positions of those supporting and opposing a system that allows Iowa and New Hampshire to go first, how different the Democratic and Republican party philosophies are on how flexible rule changes should be, and how little support there was among this very diverse audience for a congressional solution (at least one that is foisted upon the national political parties against their will). There was talk of congressional carrots, and there seemed to be a consensus that fundamental changes to the Democratic rules would take place if Sen. McCain ended up winning in November. There also seemed to be agreement that something had to be done to fix the administration of caucuses in some states, such as Texas. But as for this diverse group reaching a general consensus over (1) what, if anything, is wrong with the current system of nominating the presidential candidates; (2) how, if at all, the system should be changed, and (3) who should implement those changes, forget about it." That jibes with what I've been saying all along in regard to reforming the presidential primary process: that big changes would be difficult to pull off. Small changes, especially to caucuses seem more likely. We've already seen one caucus state from 2008 discuss both switching to a primary and scheduling the contest early in the process (Kansas) in 2012 and another caucus state that was already early discuss switching to a primary (Minnesota). The Republicans, though, have advanced one plan already that they will deal with at their convention in St. Paul, MN this summer. And as Hasen mentions, a consensus had formed among symposium participants that the Democrats would move in the direction of big changes if their chosen nominee lost to McCain in Novemeber. Back in January I posted a link to a CQ article that outlined the most of the big plans being considered by both national parties (and within Congress). I want to revisit those plans but lay them out visually (Yes, more maps.) to examine where the differences really lie. All of these plans involve grouping the states in various ways as a means of combating frontloading but differ on how they group the states and whether to exempt Iowa and New Hampshire. This altered version of the plan originally proposed in the lead up to the 2000 GOP convention groups the states by population size. 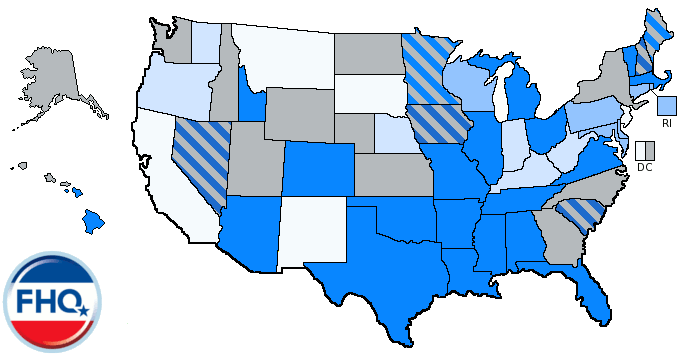 After Iowa and New Hampshire, the next group of states to go are the smallest 10 states and Washington, DC (in teal) sometime in March. The remaining three groups of states go over the successive three months, one group per month. The drawbacks of this plan are the travel strains put on the candidates and their campaigns. Retail politics in Iowa and New Hampshire is one thing, but extending that to an area stretching from Maine to Idaho would favor the front-running candidates (at least in terms of fund-raising) as they are favored in the current system. The Ohio Plan is the plan that the GOP pushed forward last month in anticipation of a broader hearing on the issue at the convention this summer. 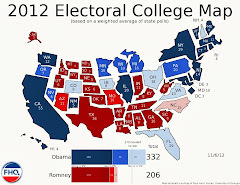 Iowa and New Hampshire maintain their traditional positions and South Carolina and Nevada would be next in line as they were in 2008. Following the exempt states, the smallest states go as they do in the Delaware plan. 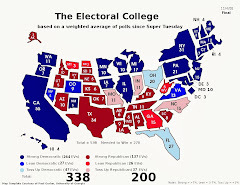 The remaining states are divided in a way that splits the groups' total electoral votes as evenly as possible. California and Texas will have the advantage over the other states in their "pods" while Florida, Illinois, New York, Ohio and Pennsylvania are all lumped together in one group. The two biggest states, then, get the spotlight all to themselves while the next six largest states all go on the same day. That's a good number of the most populous states that will bring up the rear of the process every third cycle. 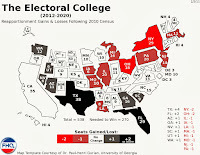 When that group goes immediately after the pre-window states and the smallest states, it will put a lot of pressure on the candidates to be ready organizationally for all those big states as opposed to focusing much of the attention on California and Texas. The plan that the National Association of Secretaries of States has been promoting places value on regional contiguity. There is a modified plan that removes the first-in-the-nation distinction from Iowa and New Hampshire, but the map below reflects the original plan from the NASS. This plan does offer a mix of both big and small states in each of the regions, and with the exception of the western region and California, all the big states are balanced out by other big states. California, in that scenario, could get all the attention or candidates could opt for an "everything but California" strategy. Given the way primary seasons of the past have progressed, this seems unlikely, but in light of Obama's small state strategy in 2008, this sort of strategy could gain momentum in the future. The regions would rotate--a different one going first each cycle--so when the western region went first, this strategy could play out. The one drawback to this system is that potential candidates could gain an advantage when their regions are first (similar to the favorite son success that some candidates have enjoyed in their home states.). Finally, the Texas plan splits the country into four groups of contiguous states (They are not completely contiguous, but as you can see in the map below, a group of three or more contiguous states in one region may be together with three or more contiguous states from another region--see states in green for example.). Again, Iowa and New Hampshire are stripped of their customary first positions, but are in the same group together and would go first with the rest of their group every fourth cycle. This is the group that is made up of the smallest states. The other three groups have most of the heavy hitters which have tended to get the attention. For other symposium materials: See here and here. Good stuff! I would like to see something done, but you have been warning us about the problems. I suspect that there will be a push for a national primary. This year it probably would have produced a Clinton/Guiliani race. The idea has some merit, but it would be hard to get more money to run a campaign when nobody knows who is winning. The richest candidate would probably win. This year it would be Romney and Obama. I honestly haven't really thought of a system like this before. My issue is that it would be something of a collective action problem. The states would tally those votes and then it would be a matter of states resisting the temptation to release the information and influence the process. And as we've seen with frontloading, states aren't that good at resisting. The question that arises from that is what the penalty would be for releasing your information early? I would bet that they wouldn't lose all their delegates. ...or would the Dems want to repeat the Florida/Michigan experience again? This is an interesting idea though. With the right sanction, it could work. What that sanction is, I have no idea. Doing it by region seems like a horrible idea. If you did the south first you'd end up with a moderate democrat and a very conservative evangelical-type republican, both of which may not appeal fully to their respective parties. If you did the northeast first you'd end up with an uber-liberal democrat and a moderate republican (maybe a pro-gay or pro-choice one), which would not appeal to the parties as a whole. Has anyone ever considered an even simpler system? Hold the primary nationwide on the same day (say, Election Day the year before the main election). This would, maybe, force candidates to sell themselves nationwide rather than state by state where they tend to customize their message and thus "flip-flop" maybe a bit less? The candidate with the most votes nationwide would win the primary. Wouldn't all the states then have an equal say at the same time how their delegates are distributed? This would force candidates to hit states that they might not otherwise visit if they can recoup delegates later on in the game?